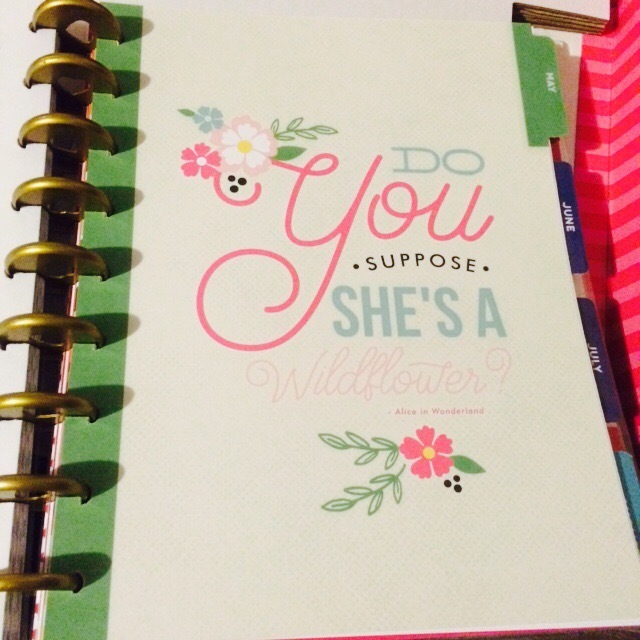 I’ve always oohed and aahhed at the fancy planners and all the cool stickers I’ve seen online. Most of the ones I looked up cost $50 plus. I always said maybe someday and stuck with one of the neater $10 ones at Walmart. 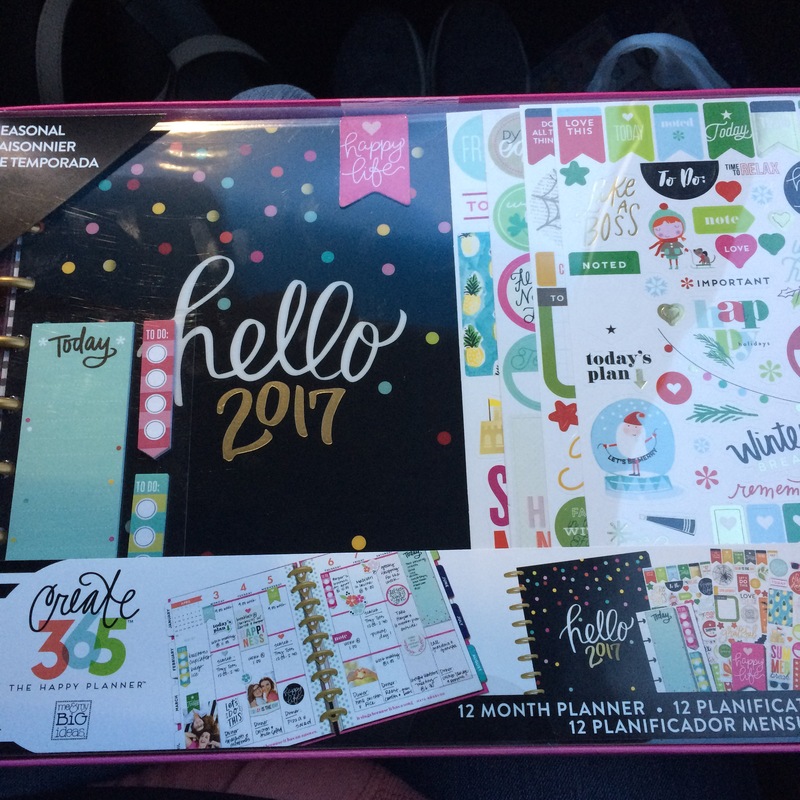 You can imagine my excitement when I walked into Michael’s today and they had a whole wall of planners and stickers and cool accessories. That was only a piece of the excitement. The other was the big $10 doorbuster sign for today only. Whatt??! The boxed set was $10. 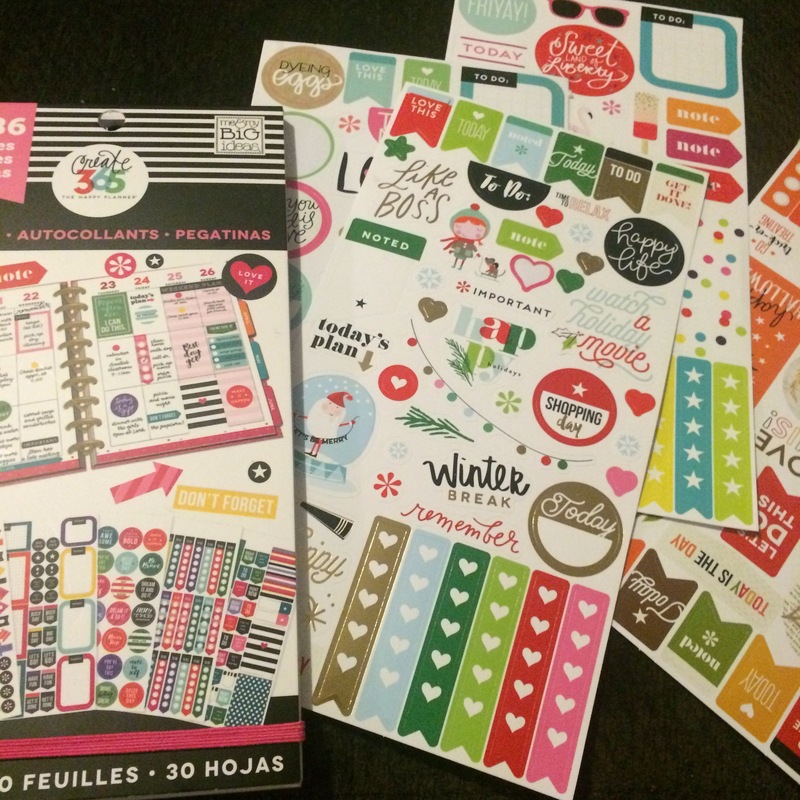 I chose the holiday version which has holiday themed pages and dividers, and I bought an extra pack of stickers. Consider 2017 organized! 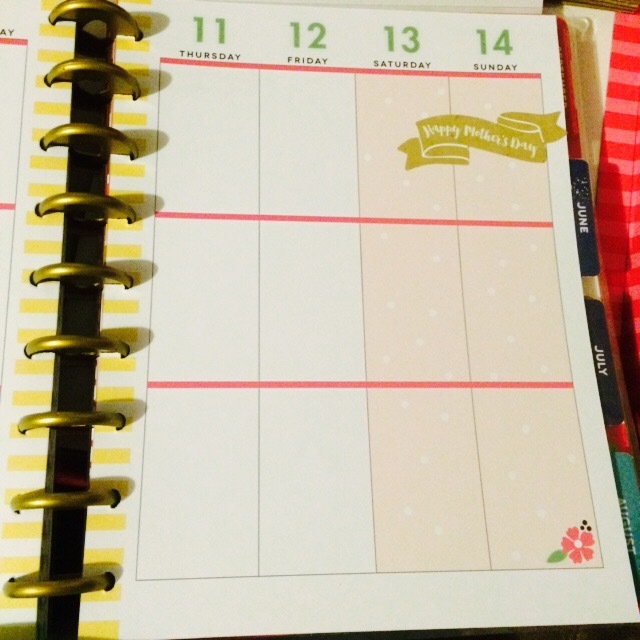 If you’d like to get your own it’s called The Happy Planner by Create 365. I would’ve still paid the original price–$35–well worth it. Check out their awesome website. 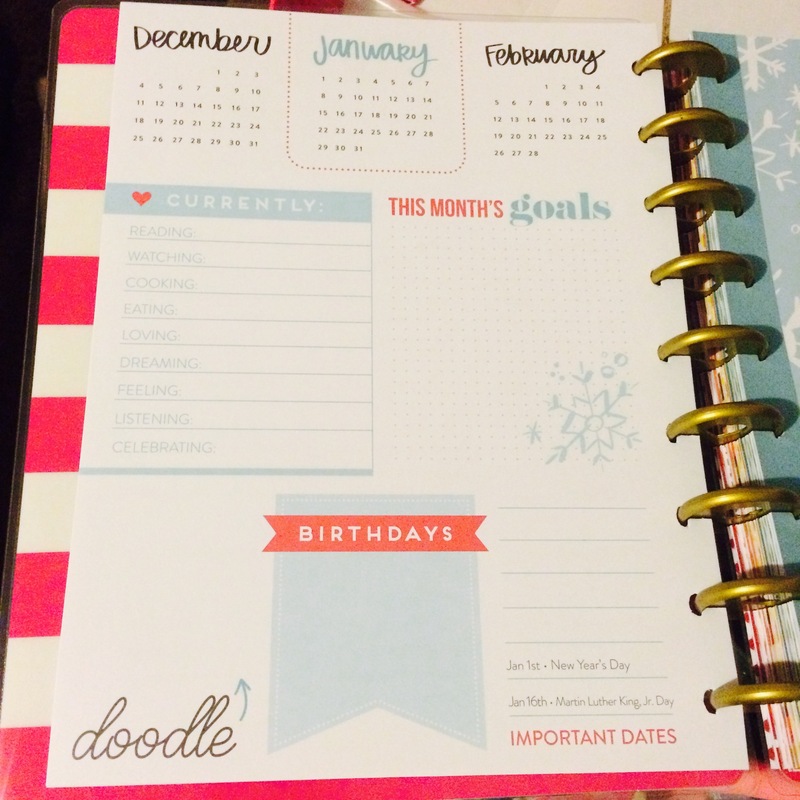 Tons of neat ideas for staying organized! Just a glimpse at some of the pages.. 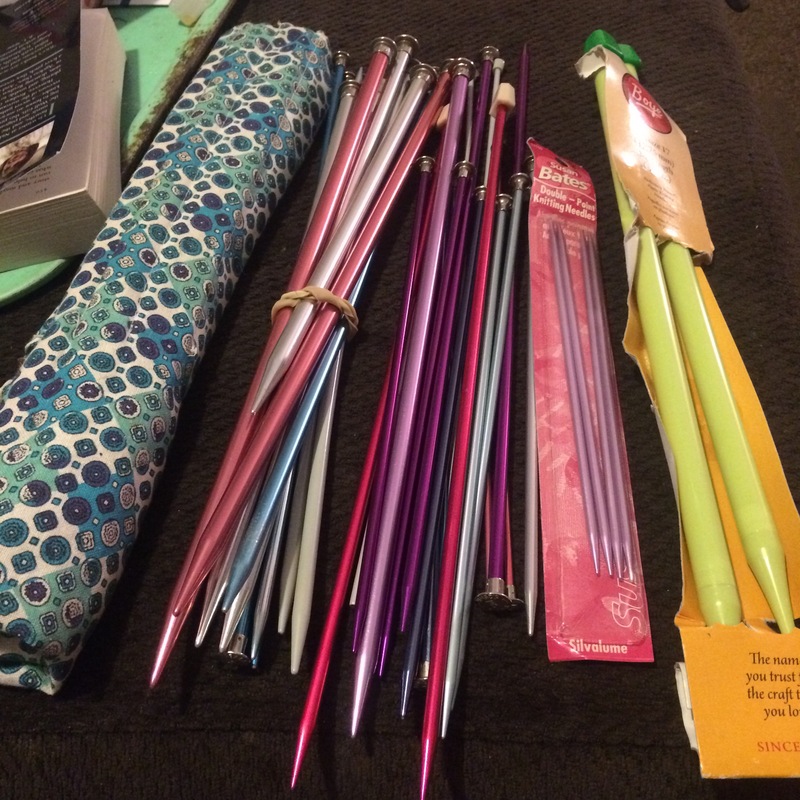 I shared my knitting needle thrift store haul in an earlier post. 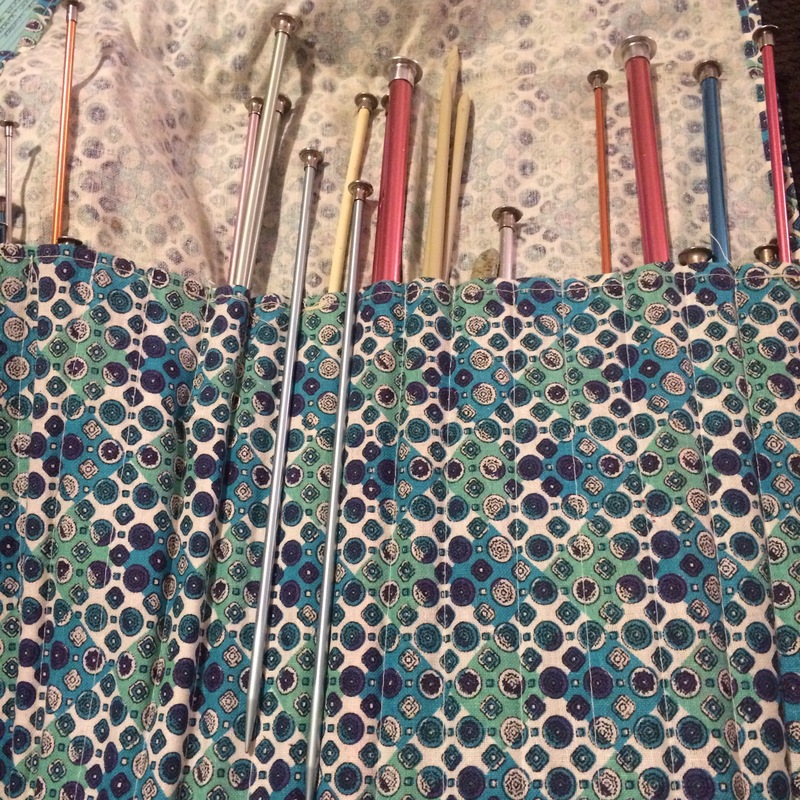 Actually my grandpa had picked them up thinking they were crochet hooks. He’s actually done this twice and I’ve yet to get thrifted crochet hooks. This was totally fine with me since I always said that would be motivation to learn. I saved them for two years and would look at them every now and then. Well, today I worked up the courage. I usually go with written tutorials, but they weren’t making any sense so I went to YouTube and clicked the first tutorial that popped up. I watched Absolute Beginner Knitting by Expression Fiber Arts about 5 times, and probably started my first row of stitches about 10 times. I was happy when I had semi successfully made 3 rows of stitches. 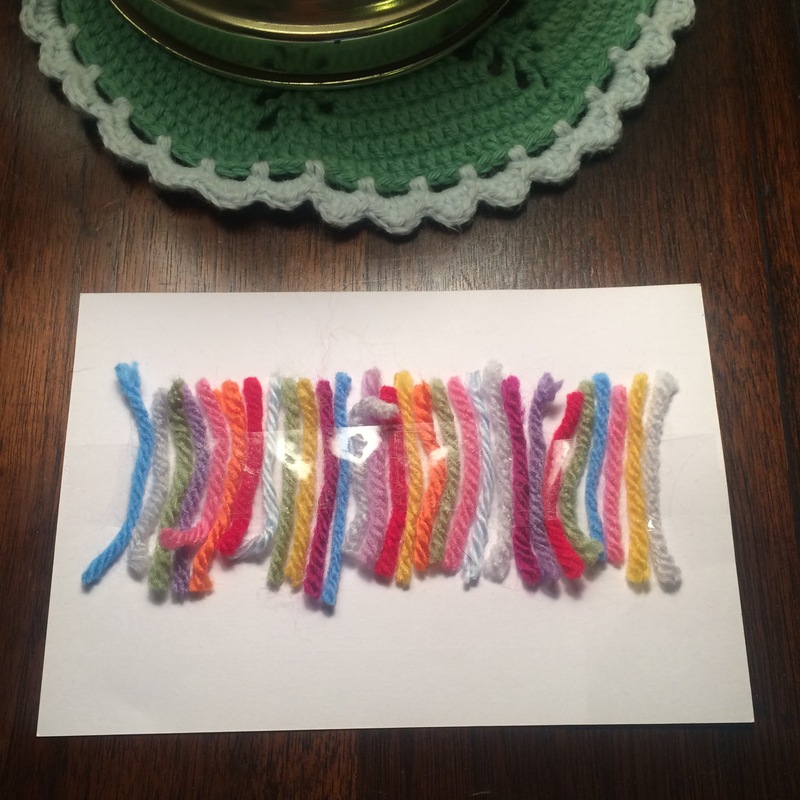 The real inspiration for spending two hours on the couch for one teeny tiny swatch is socks. I’m so jelly of the pictures of knitted socks that keep popping up everywhere. 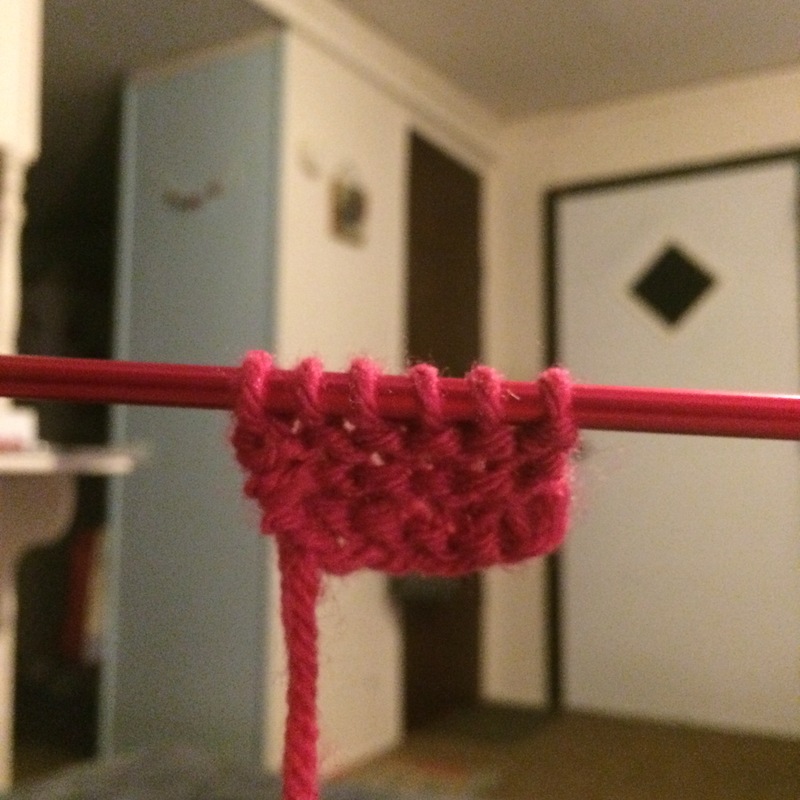 And I already have a ball of sock yarn waiting..I just need some more practice first (and to figure out the weird thing that keeps happening with my slip knot..can it count like a stitch in crochet? Hmm..). I found a unique Pom Pom color mix at my local craft store last week, and I’d been debating what to do with them. 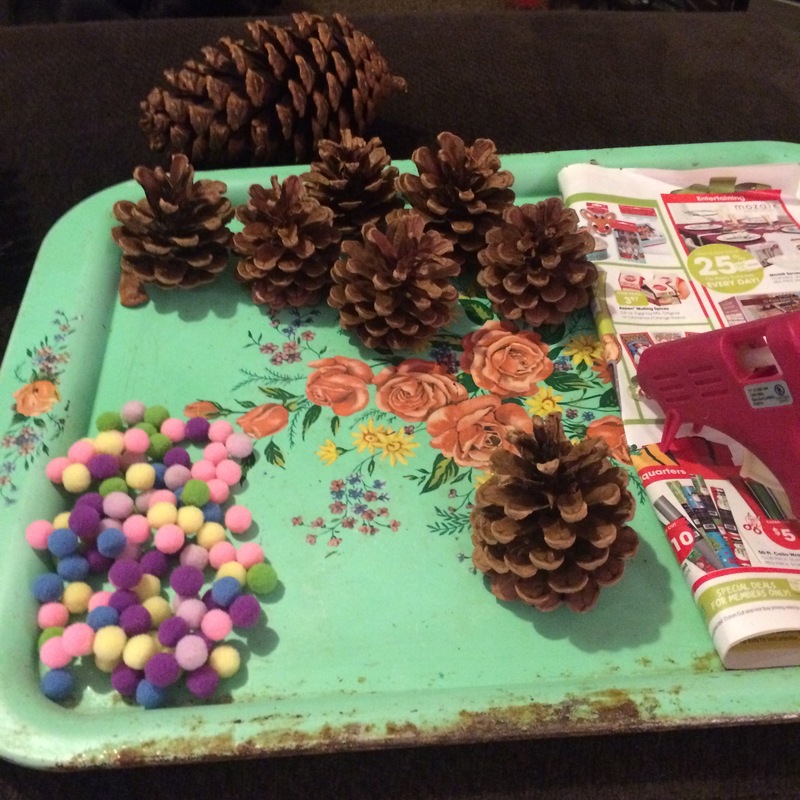 As I was looking for something easy and simple to do this evening, I had a bag of cinnamon pine cones from Christmas (I never put out) and remembered seeing pictures of Pom Pom pine cone ornaments. 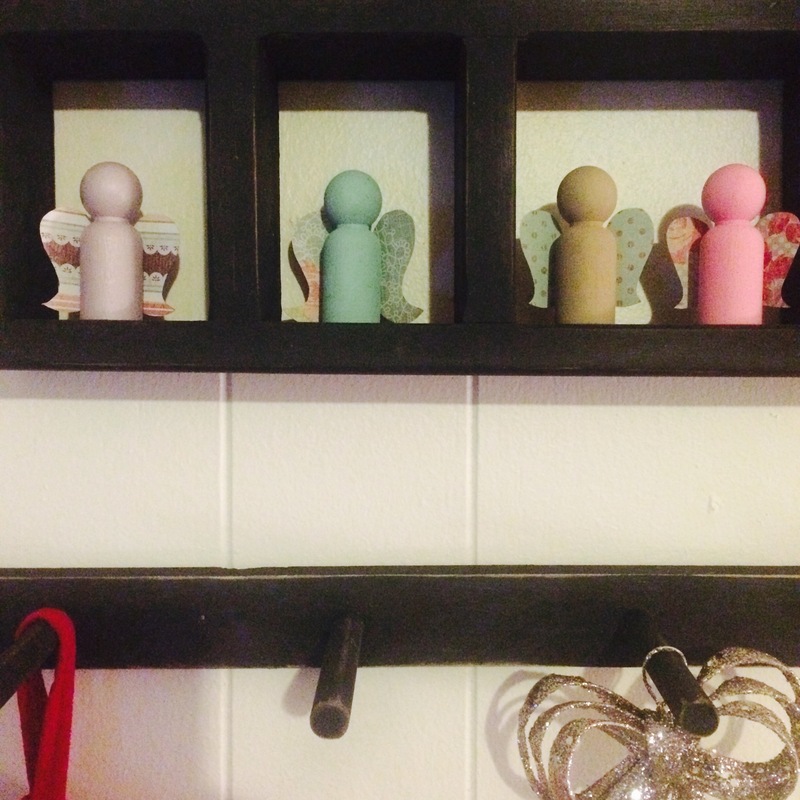 As you can see, I didn’t hang them on a tree but found a perfect spot on my new knick knack shelf I bought at a craft show last month. I’ve been trying to fill it with the perfect arrangement of pretty little things and these pine cones make the perfect addition. This would be a great craft for your kiddos. 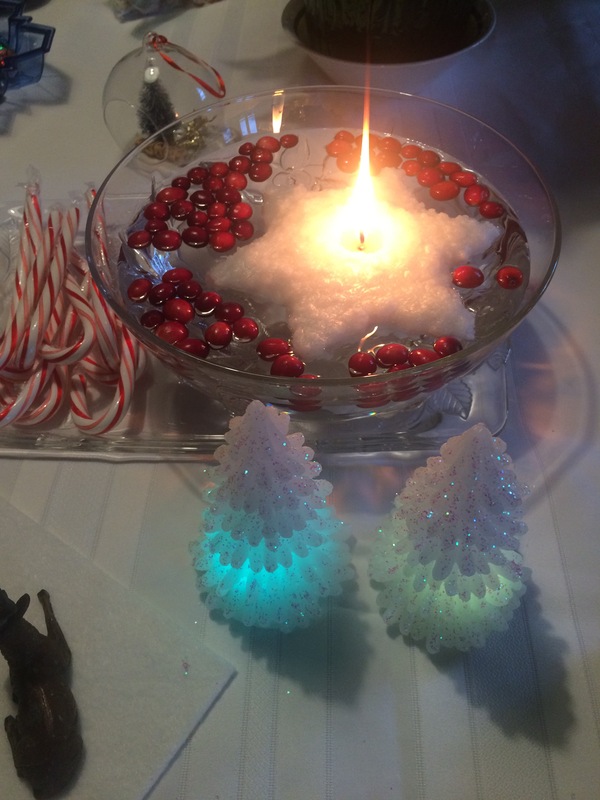 I used a hot glue gun, but I’m sure any type of craft glue would work. 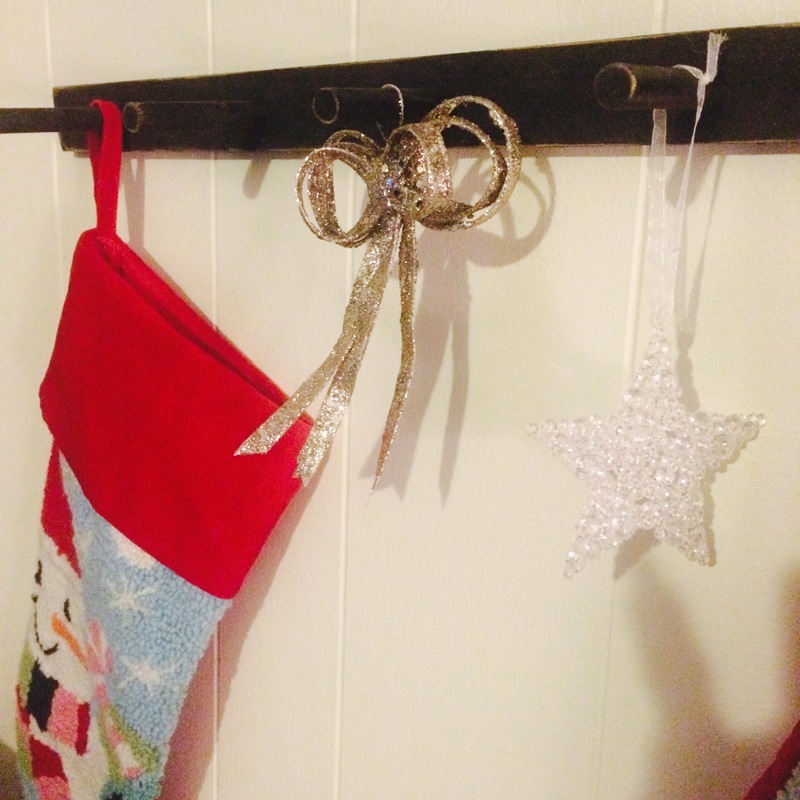 Or if you’re an adult like me looking for a simple, yet very adorable, craft after all of your sweat and labor over Christmas gifts, this is for you! -Pine cones from the store or your back yard. I got my bag of cinnamon scented from Walmart over the holidays. -Smaller Pom poms (so they can fit in the gaps). My assortment came from Pat Catans and say 10 mm. 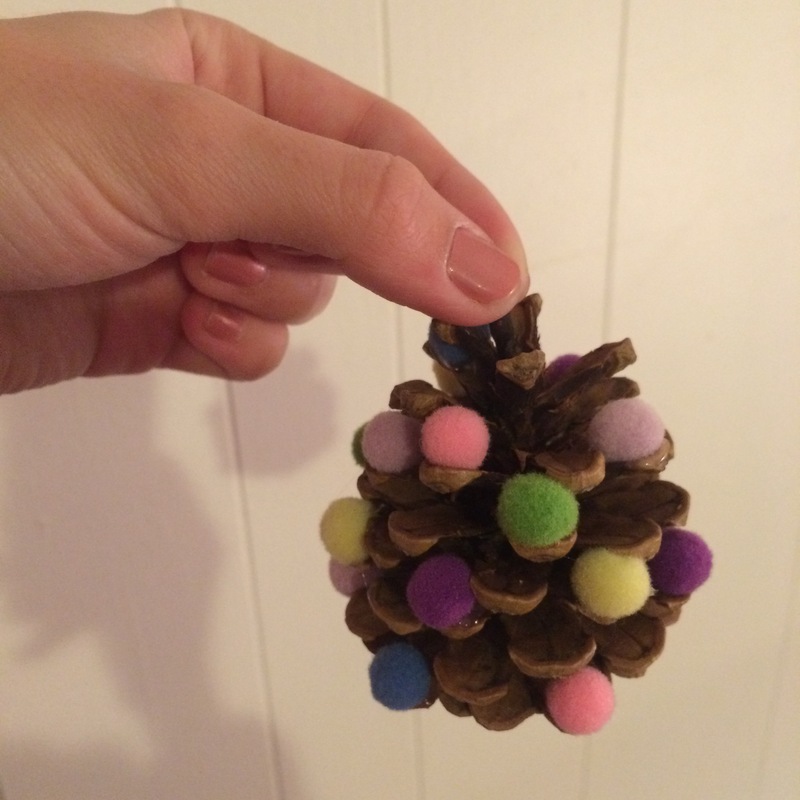 Directions: Simply glue the Pom poms in the gaps of the pine cone. (Yes, that’s it). Make sure the pine cone is facing the way you want it to before gluing. I did mine with the flat part on the bottom so they could sit up on their own. 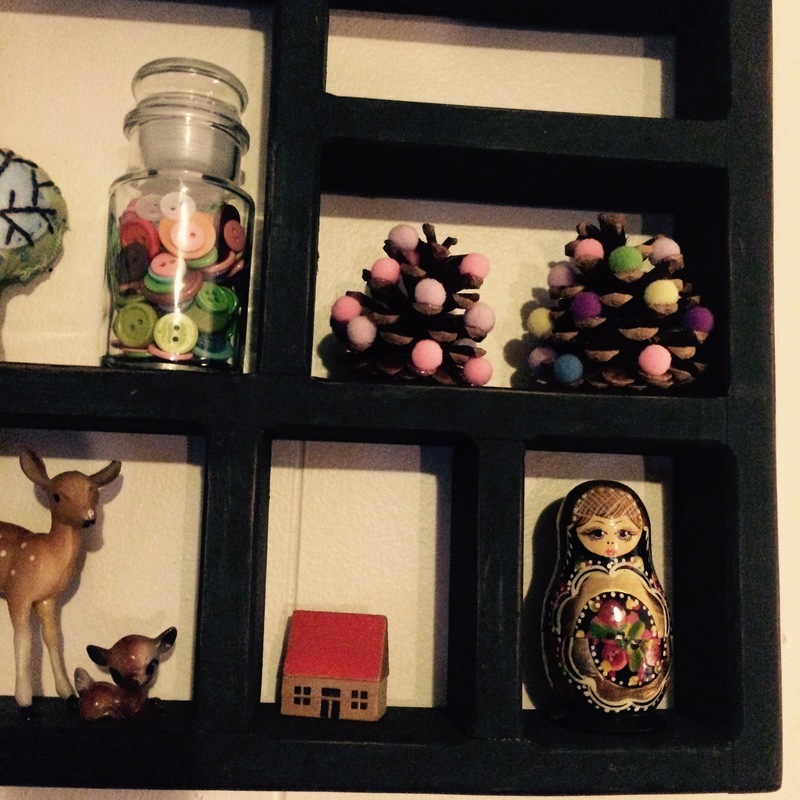 I liked sticking the poms all in the gaps before gluing so I could plan a nice assortment. If you are hanging yours, tie a piece of string or ribbon tightly around the thick “stem” at the top or wind around the top of the pine cone before tying. This past year has been one of the busiest I’ve had. I was blessed with my first full time teaching position (I’d only been a substitute up until then), so the majority of my time has been devoted to thirtern 6 year olds. One of the perks of being a teacher is holiday breaks. 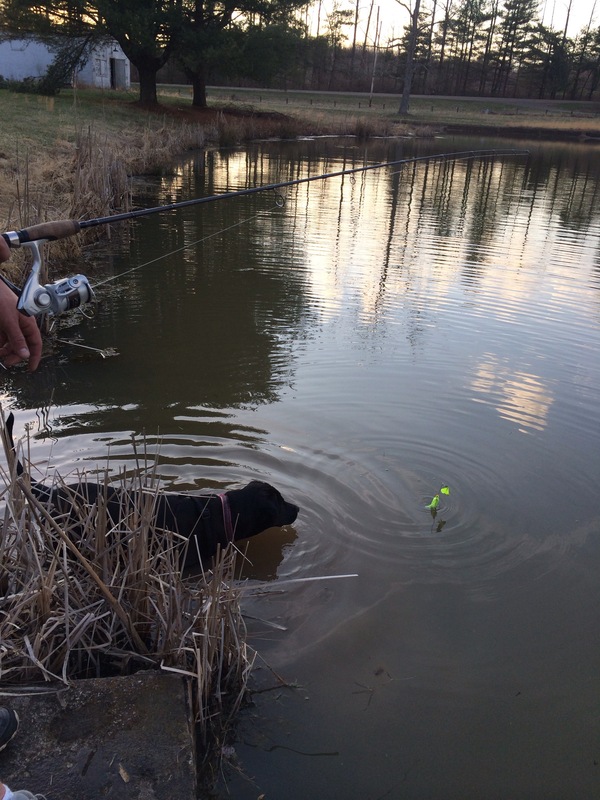 I’ve used this time wisely–reflecting, relaxing, and spending time with my numerous hobbies. 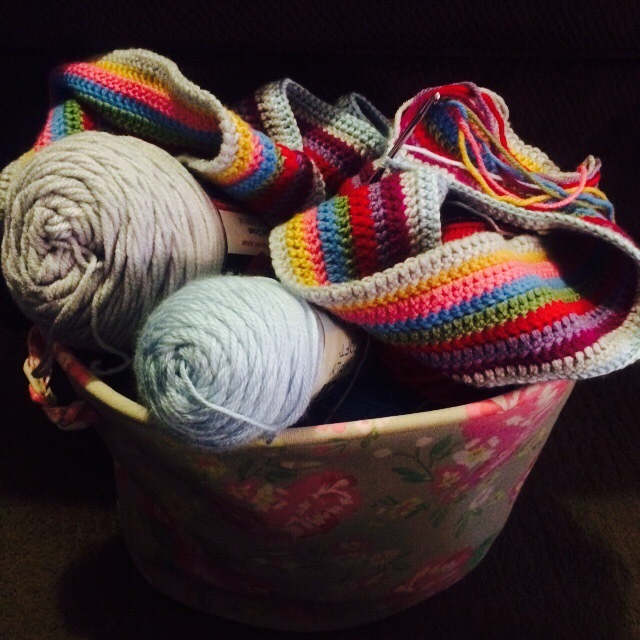 Of course, most of this time has been spent with a crochet hook and yarn. I got out the blanket I’m about a quarter of the way through, and I just wasn’t happy with the colors. Maybe I’ll get it out in the future and want to finish it, but right now I needed something I could truly enjoy and be excited about (and pour my heart and soul into for a week). 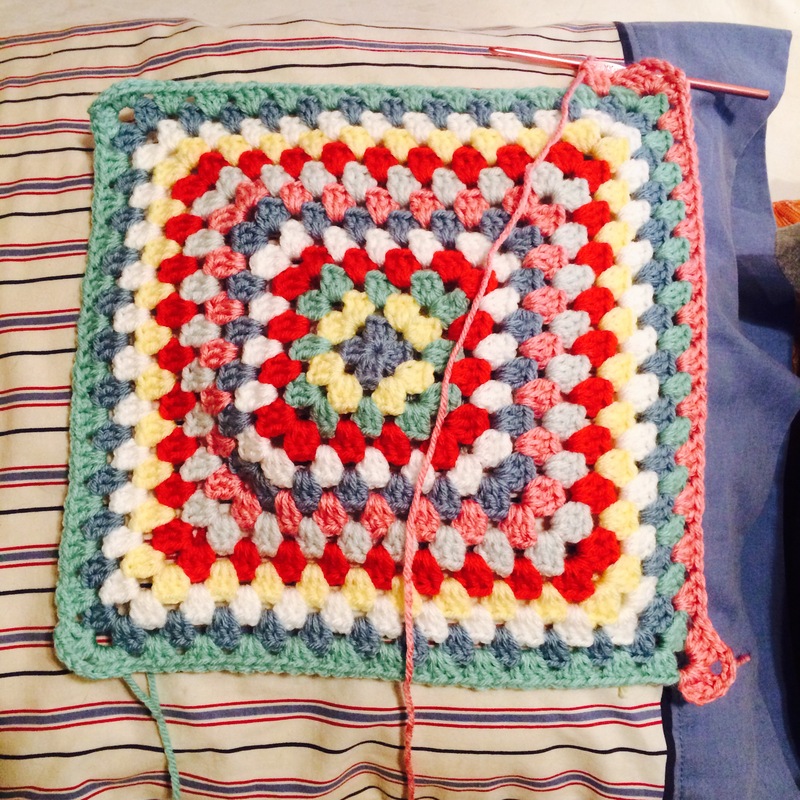 Sooo I started a much simpler blanket (rows of double crochet) with happy colors. And let me tell you I have enjoyed these post-holiday snuggles on the couch with my fur baby hooking up row after row. It is going to be a fairly large blanket, big enough to fit me and the Mister. It lays almost all the way across our queen size bed. I hope you all are enjoying your holiday as much as I am! 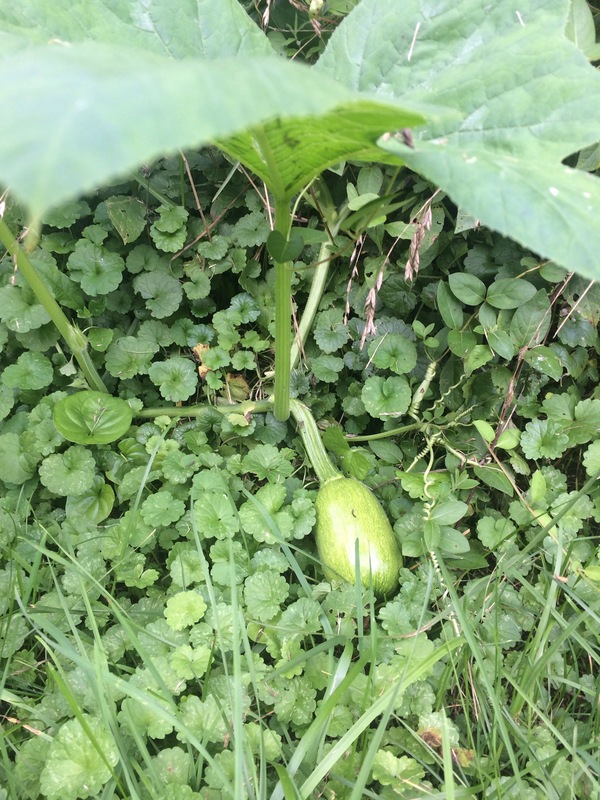 Remember when I posted the picture of the tiny pumpkin leaves that had just sprouted? I was so excited. Well you can imagine how excited I was walking outside this morning and seeing not one but two pumpkins!! This is a first for me, and I’d read online that many times you may get only one pumpkin, if any. I have not been checking on my plants as often as I first had since we’ve had rain every day and there was no need to water. 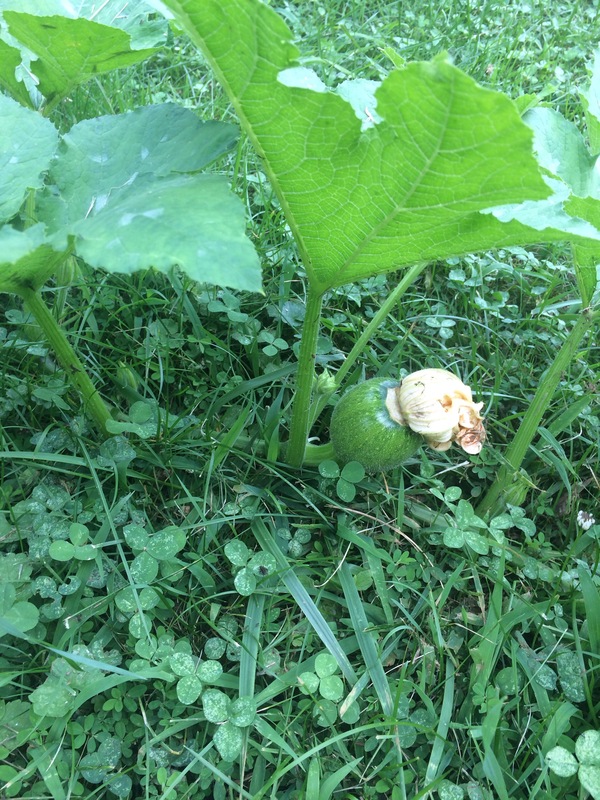 I decided on planting pumpkins this year because the cost at the markets has become outrageous. We always end up spending quite a bit in October. 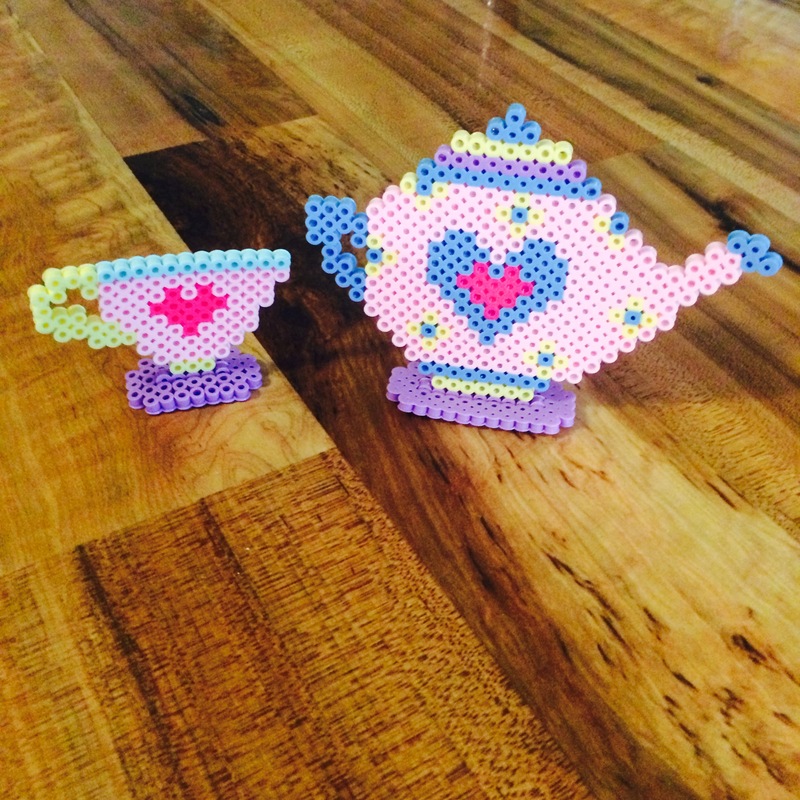 Sometimes you just have to put up the big kid crafts and get out the Perler Beads. 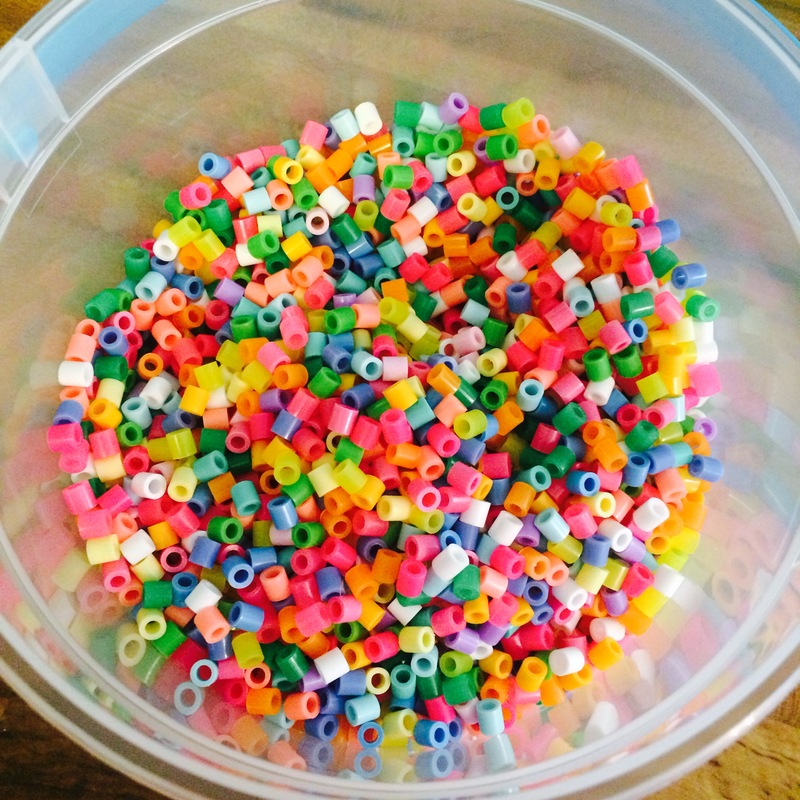 I bought a new tub of beads a while back. It is gloomy and not so warm here today so I decided to whip them out. I also bought a Perler pattern book. I’ll admit I bought it for the standing teapot and tea cup template. This bead mix is my fav. It’s called Sunny Days. 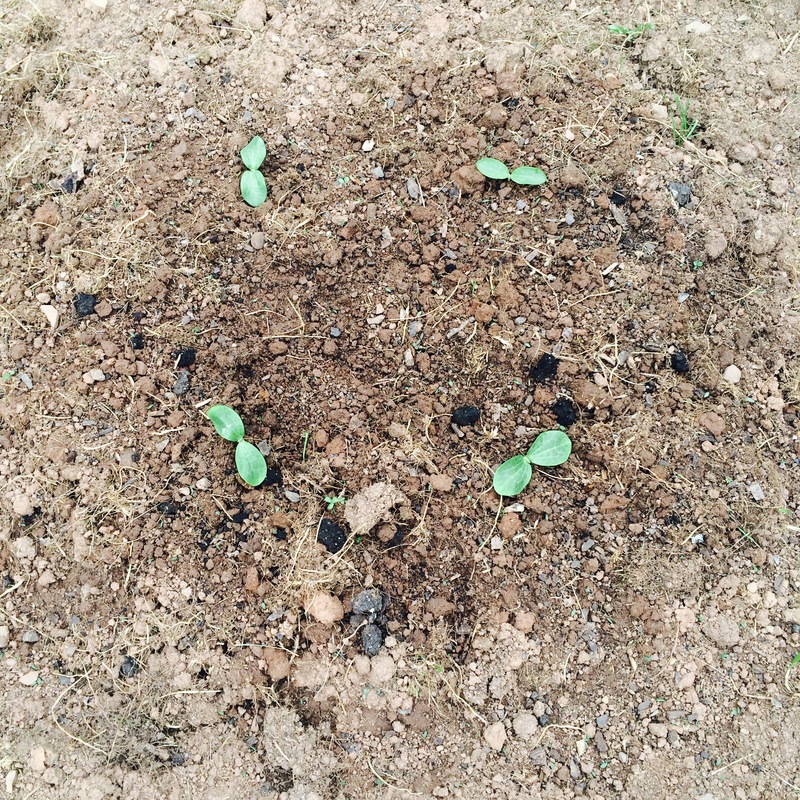 In other exciting news, all four of my pumpkin seeds have sprouted!!!! The night before I checked on them and there was nothing. The next morning there were six green leaves. It’s crazy how that happens. 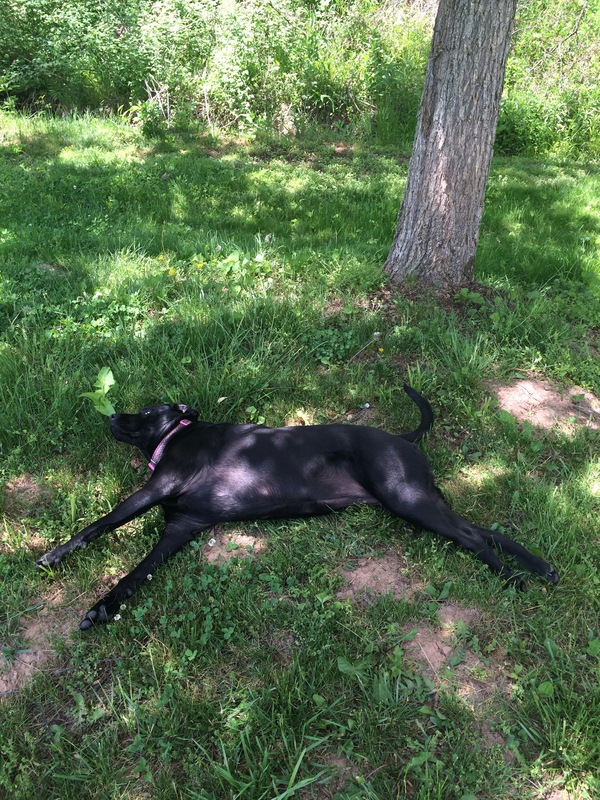 I had a very relaxing Memorial Day weekend. I needed it with all the stress of our new home plans possibly falling through. I stayed busy around the house. 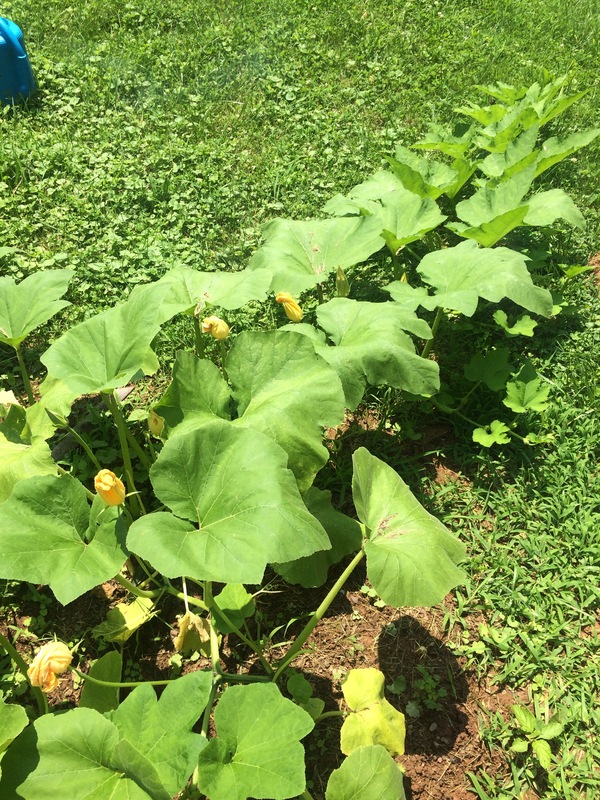 Where I live it is time to plant pumpkin seeds. At a craft fair a few months ago, an old man and woman had a booth set up with any heirloom seed you can think of. We do not have a garden so I wanted to pick just one type of seed. I went with Jack o Lantern pumpkins. 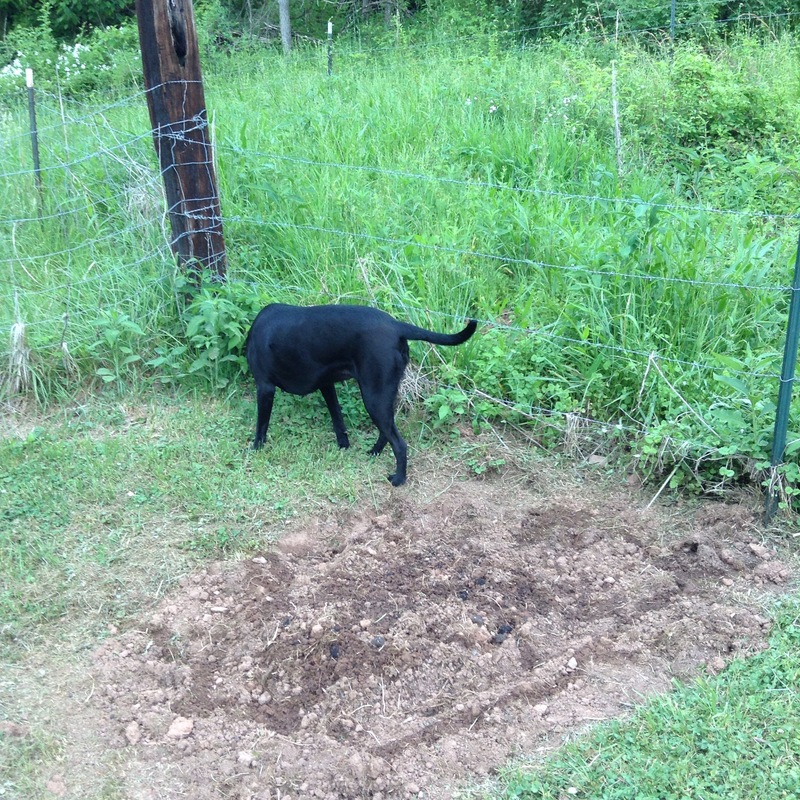 This weekend we dug a spot where there would be plenty of room for the vines to sprawl out and I’ve been researching how they grow. 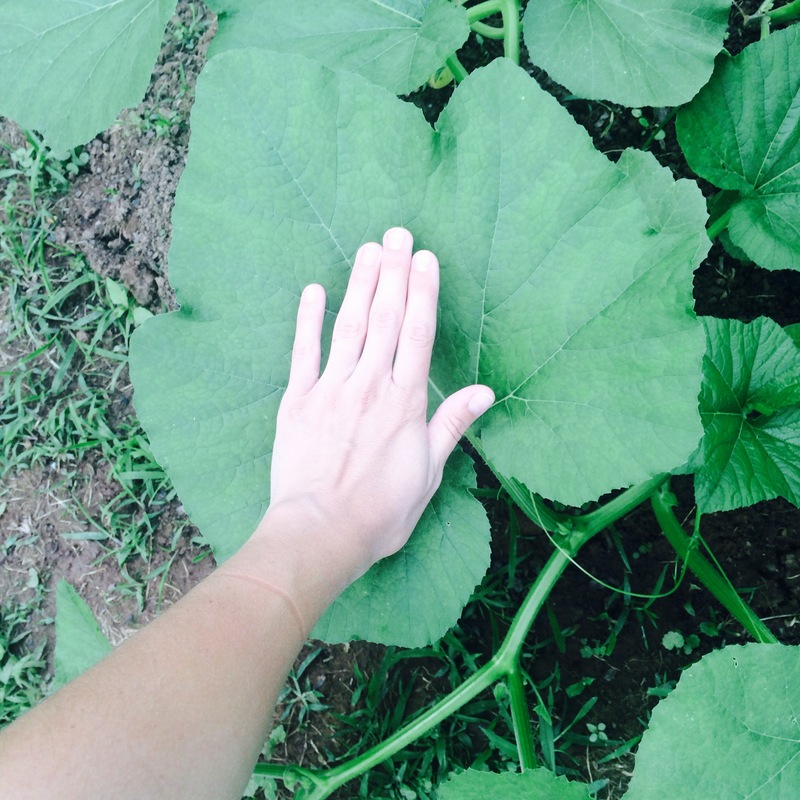 I would be happy if I grew just one big fat pumpkin. I also, of course, fit in some crafting time. I have never been good with a sewing machine and usually just get frustrated and put it back in the box. I did take a home economics course in high school but obviously did not take away any useful skills. My new obsession with quilting has required me to give it another shot. 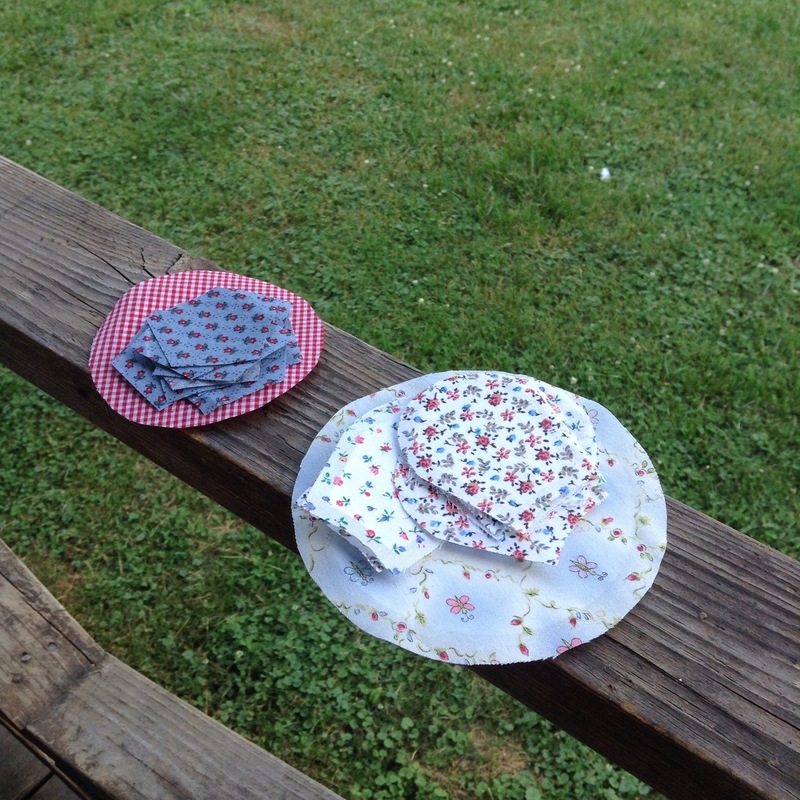 I have all of the pieces cut for two adorable Dresden trivets from Cotton Charm Quilts but am trying acquire some skills before ruining them in the machine. It’s taking all I have not to just hand sew them…but I have GOT to learn to use a sewing machine. Back to the work week! Ok so I posted about a year ago that I was now engaged. Fast forward to the present—we are getting married this summer (no wedding, just the two of us) and are looking for a place to live in the meantime. We have found our home!!! We have both always rented and never owned, so you can understand our excitement. I can paint the walls and decorate however I want! I am on cloud 9 planning out all the details. Right now we are focused on the kitchen. The walls were a dark red/burgundy color, way too dark. We wanted something light to open up the room. 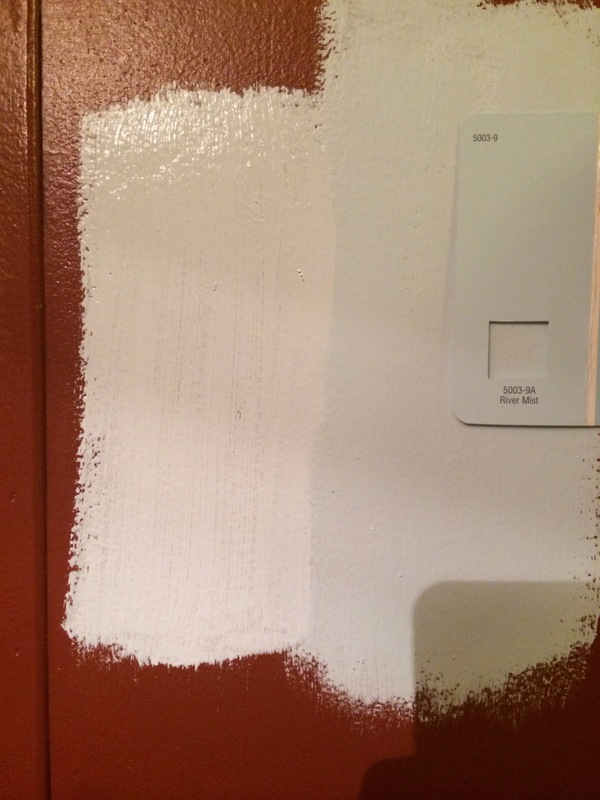 We started painting a couple of days ago and were so excited when it covered that dark color. We chose a pale blue—Valspar River Mist. Love it! Here is what I am most excited about. Look at this beauty! 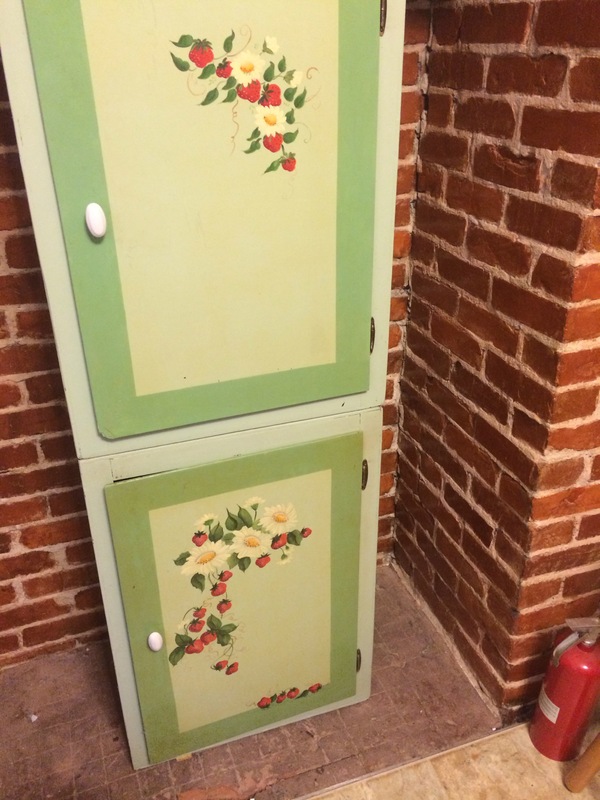 I picked it up at an estate sale and I am so excited about it. Great condition. Will be the piece that inspires the kitchen. Look at the view. 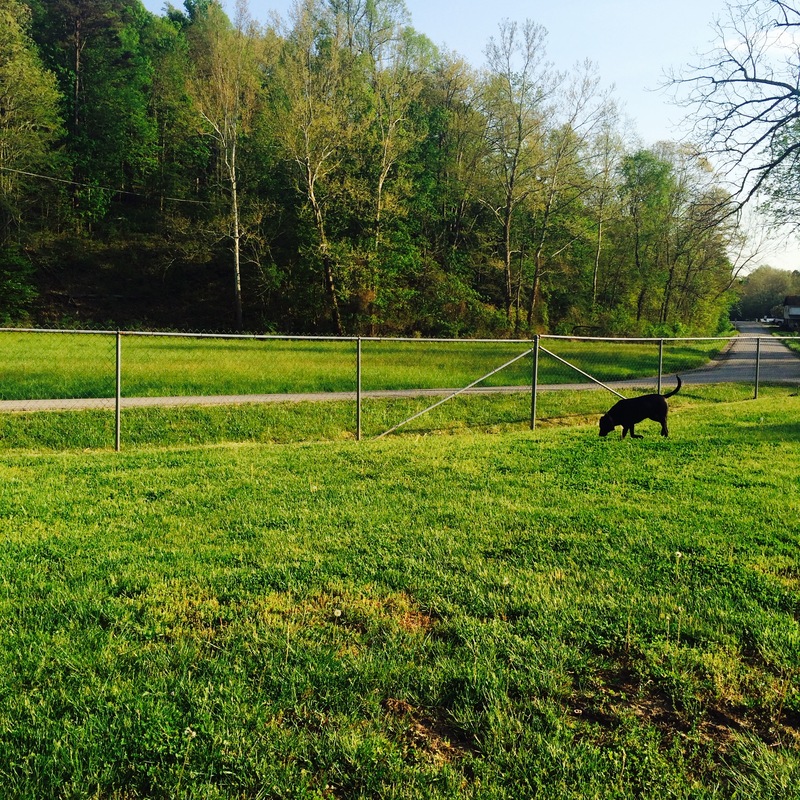 We both decided we would not be happy to live in the city so here we are out a curvy back road. Could not be happier. Our first home! Will post updates on the redo :). I have recently become obsessed with anything to do with quilting, particularly vintage quilts. I think a reason for me not discovering my love of crafting until my early adult life is because I did not have that older crafting figure in my life. 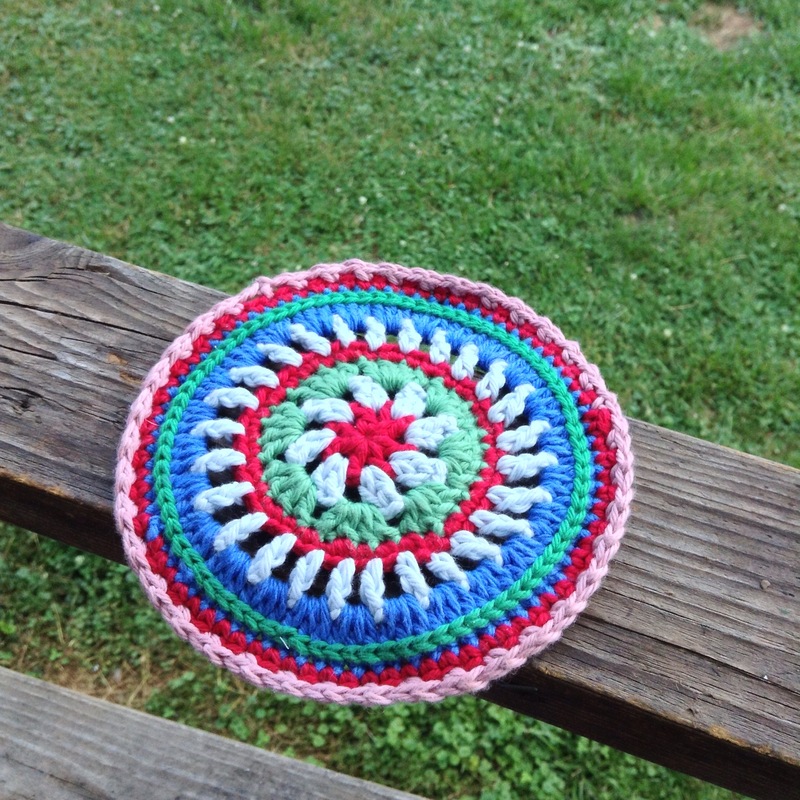 I know I had relatives that quilted, sewed, and knitted but no one I was around long enough to pick up any skills. To my dismay, along with this, came a lack of handcrafted heirlooms passed down. Oh how I would loooove to have one, just one, vintage quilt passed down to me. They have so much character and tell so many stories. 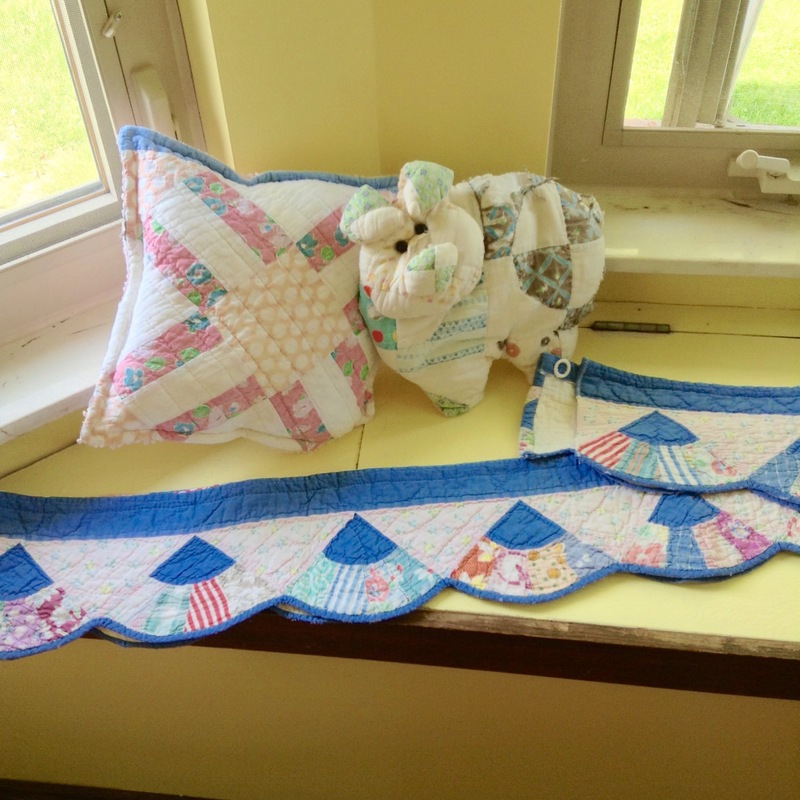 In the past couple of weeks I came across some items made from old quilts. After talking to the crafters, these quilts were repurposed because they were too badly damaged for mending. You can see the piggy has some damage. I think he was repurposed either long ago or more recently and was well loved. I am going to fix him up. The pillow front is a piece of an old Road to Nowhere quilt and the backing is a piece of an old chenille bedspread. 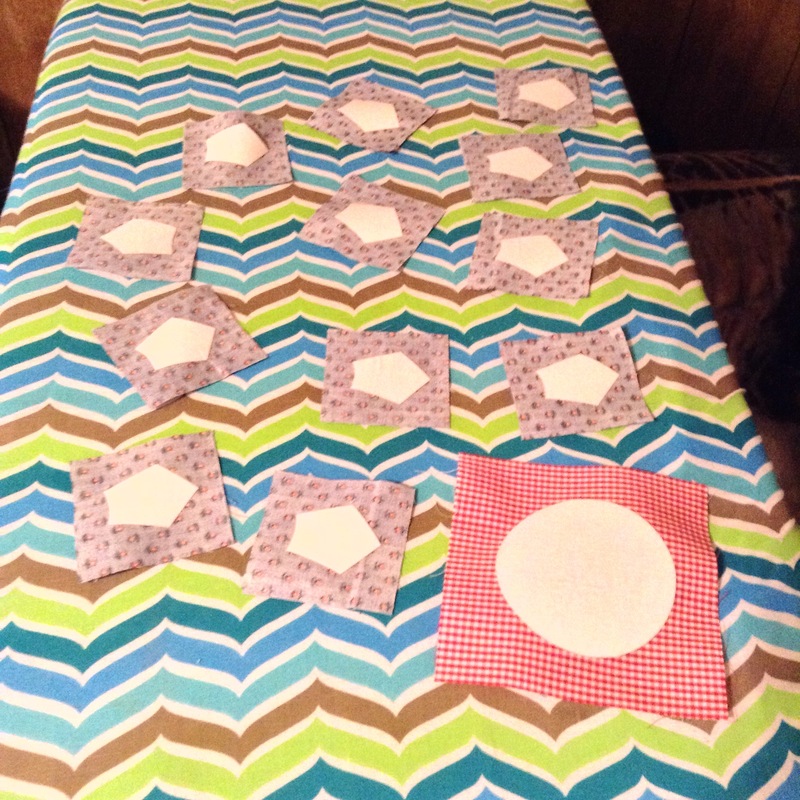 This lady made 64 small pillows from just a few quilts! The table or mantle runner is my favorite. It could be used for anything. The lady who made this was able to salvage one of the edges of a damaged quilt. 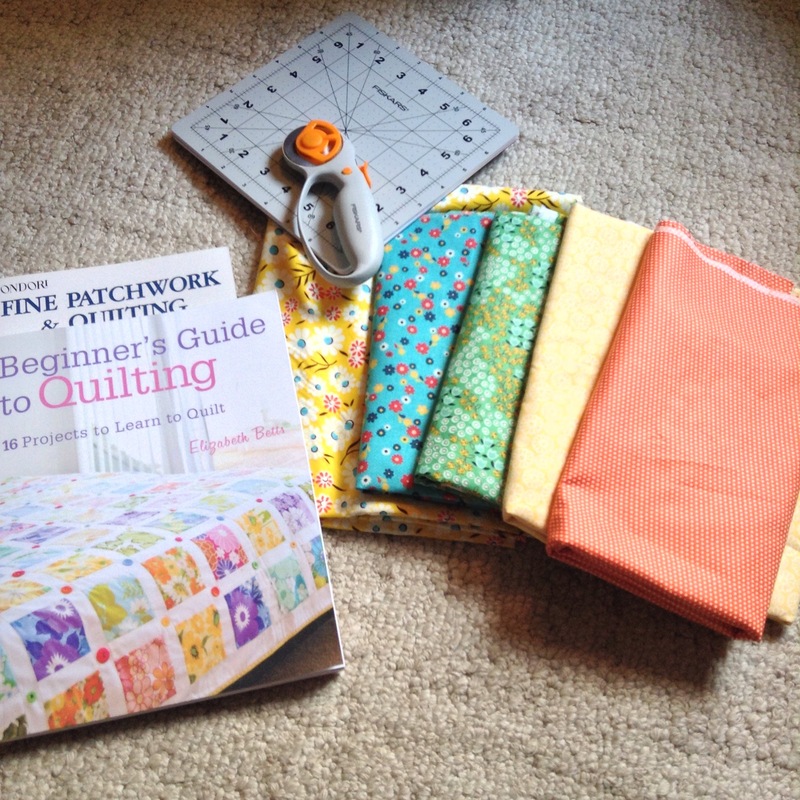 So I asked myself the other day, “If you love quilts so much, why not make one?” I don’t have anyone to teach me, but have bought some books and found some great tutorials online. I think I’ll start with a simple square patchwork in some favorite patterns. I hit a big sale at Joanns and bought some startup materials. I’m excited to get started! (Although that voice in my head keeps telling me I already have enough projects going).